This is an authentic antique map of the lower Mississippi Valley and its surrounding states by H.S. Tanner. The map was published by Baldwin & Cradock in 1833. This map captures the lower Mississippi River Valley during an interesting time of development for the region. 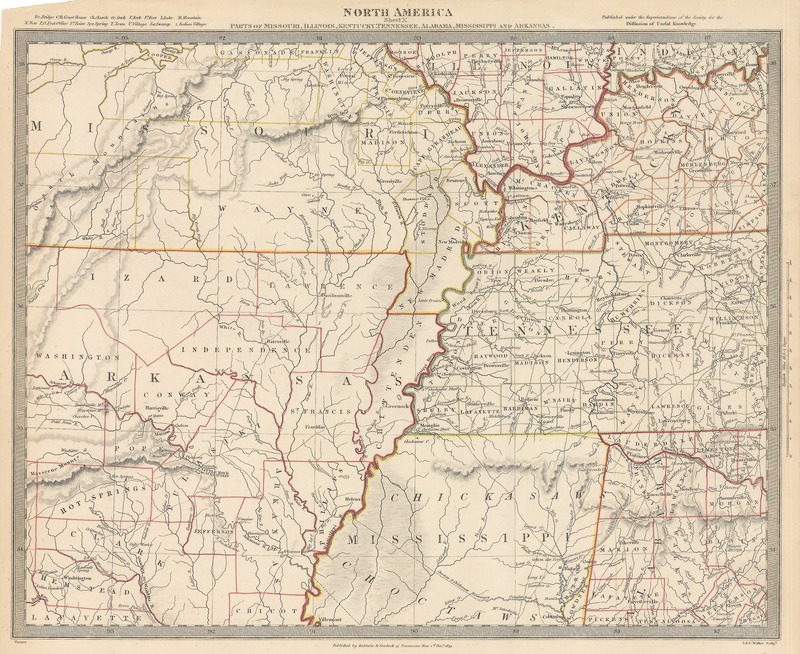 While Tennessee Kentucky Alabama and southern Illinois have divided into manageable counties the states of Mississippi Arkansas and Missouri are still in the stages of early settlement. The Choctaw and Chickasaw tribes still have their land as noted by the Indian Boundary Line in northern Mississippi. Arkansas and Southern Missouri are severely lacking in place names and Little Rock includes an alternate name of Acropolis. Condition: Map is in B+ condition with original coloring and minor edge tears confined to the margins.